Before April 4, the only fees you had to pay when getting a new phone at Verizon were during initial sign-up or when signing a new 2-year contract. If you bought a phone on a payment plan or at full retail, they spared you the activation or upgrade expense. Spared you…hah. But now, even if you buy a phone at full retail at a Verizon store, which means spending around $650 on a new phone, Verizon is going to slap you with an extra $20 fee because apparently, people like to switch devices on a regularly basis, and that is expensive…to Verizon. Another way of putting that is, they are charging you $20 extra because their automated systems need to automate an IMEI switch on your account that is automatic when you, yourself, put your currently activated SIM in your new phone and sit back as the automatic process completes. For comparison’s sake, AT&T charges $15 for upgrade fees, Sprint (according to Verizon’s document) charges $30, and T-Mobile doesn’t charge a thing. 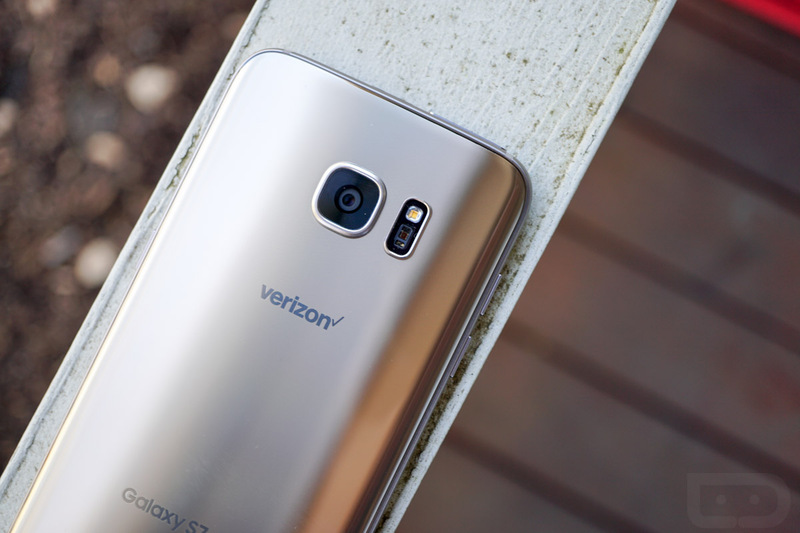 At this point, the best way to avoid paying the upgrade fee is by buying phones anywhere but at a Verizon store. If you buy a phone outside of their walls, you won’t be charged the $20, since you fall into the “Customer Provided Equipment” category, or BYOD. We’ve reached out to Verizon looking for confirmation and will update this post. 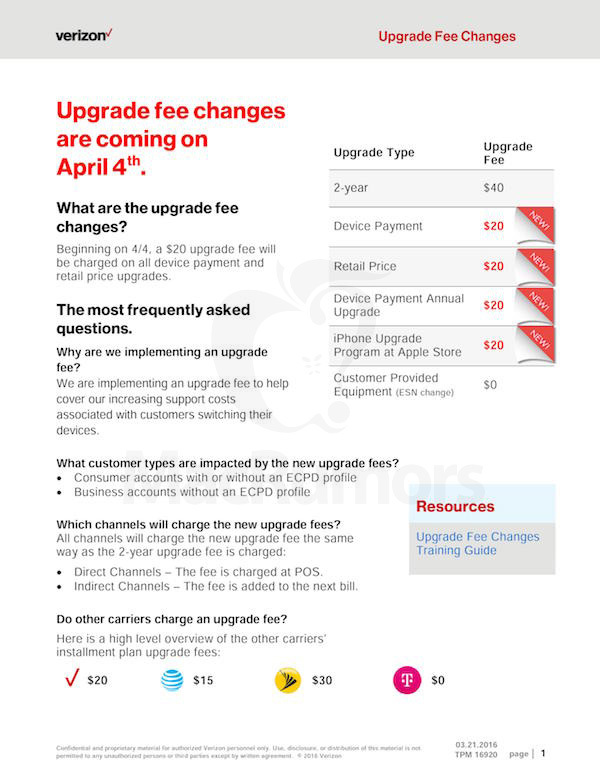 UPDATE: Verizon confirms that the new fee is coming April 4 and has issued this statement to us. UPDATE 2: We’ve gathered some of your best responses to the news in a single post here.